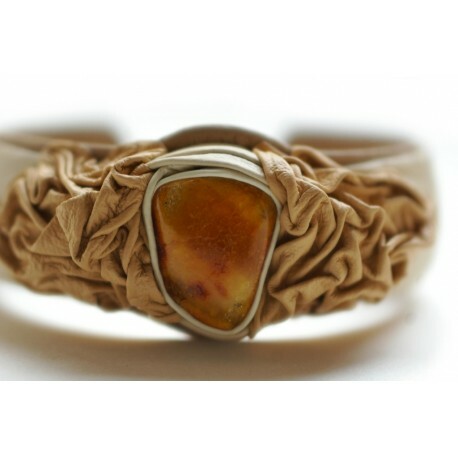 A bleached coffee-colored, carefully weaved, leather bracelet with cognac-colored amber framed in a white leather rim. Adjustable size leather bracelet. Hand-made leather patterns combined with contrastive selected amber. The author's work that has required a thorough work.